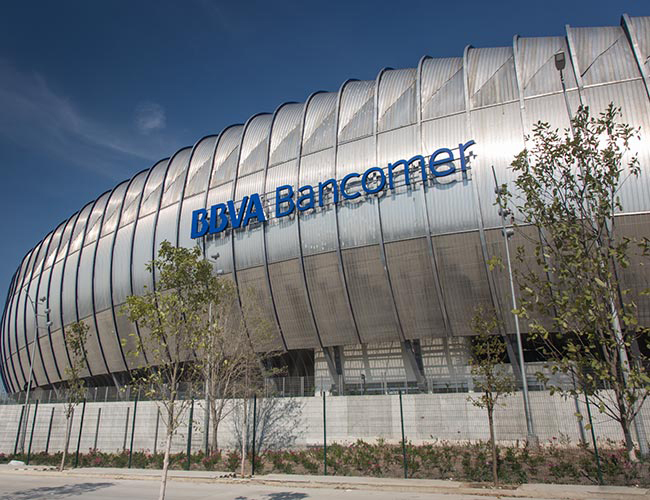 The Estadio BBVA Bancomer is a sports stadium in Guadalupe, Greater Monterrey with a capacity of 51,348. 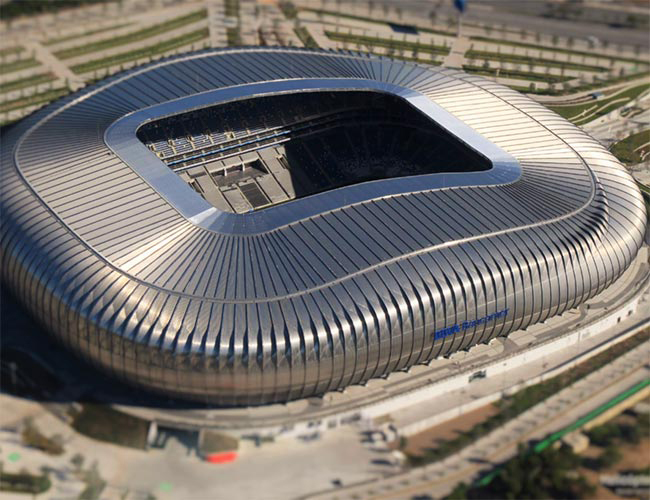 The $200 million development has been nicknamed “The Great Steel” in its native country, due to its dynamic shape and metallic exterior. 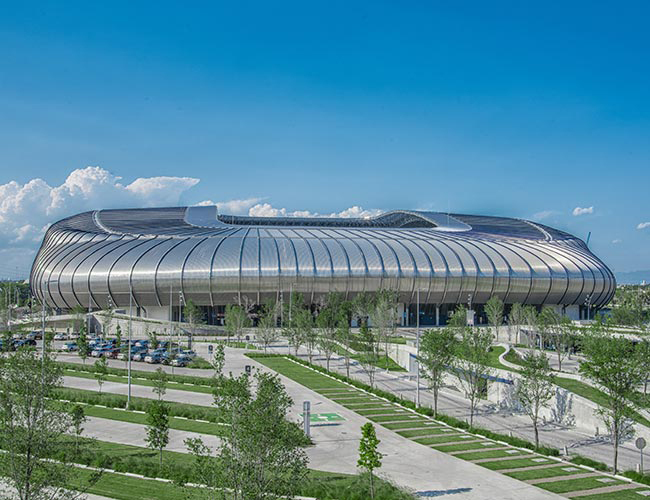 The design for this wonderful stadium required a substantial quantity of heavy gauge galvanised “top hat” sections which could be supplied curved to various radii and arc lengths, in both internal and external configurations. Solutions were engineered during a development process culminating in achieving all required curved shapes. 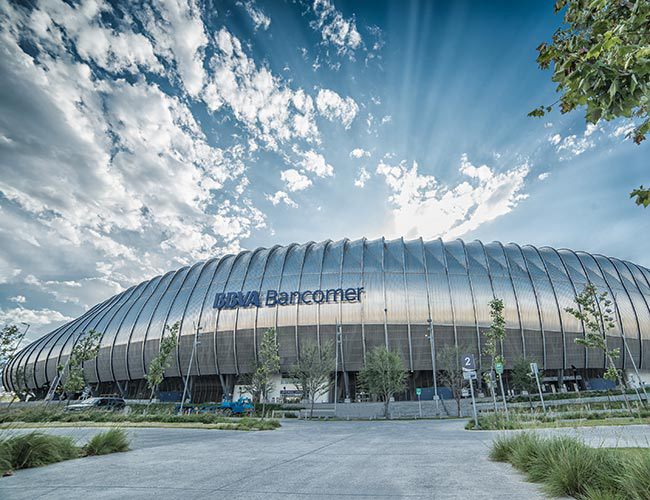 Successful structural tests confirmed the required design strength of the sections. In total, there were some 3500 components, each being individually marked for type and location identification.